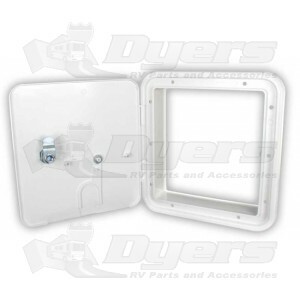 Open back for a variety of uses and a shallow collar for thin wall mounting. Vermin door accepts a 30 or 50 Amp cord. Outside Dim. 8-1/2" x 8"
Cut Out Dim. 6-7/8" x 6-3/8"
Quick shipping, great value. Great Company to deal with..